administration of Pernambuco state in 1988. Piauí state, all the major cities of the Northeast were established in this zone. fanaticism, official corruption and hunger in the sertão. around 30% of the adult population. wage or new land for cultivation. agriculture (vegetables, fruit, cotton and coffee) and cattle ranching (beef and dairy). source of wealth for Salvador. strong bond with this land. beaches are calm, while the northern beaches are often windy with rough surf. where the Sertaneaw6kx have maintained a rich culture despite the poor environment. plantations of Cachoeira and other cities of the recôncavo region. beat of other instruments, such as caxixi, pandeiro, reco-reco, agogô and atabaque. The main materials used in Bahian folk art are leather, wood, earth, metal and fiber. manufacture goods made of leather and silver. worship and enjoyment of life in peace and harmony. is a center for Candomblé activities. homeless, hungry, abandoned and sick. remained Brazil’s most important city for the next three centuries. but tobacco cultivation was later introduced and cattle ranching proved profitable in the sertão. the prosperity of this period. Saints…and of nearly all sins! aristocracy, and uprisings of blacks threatened the city several times. commercial center of a vast territory. Avenida Presidente Vargas, has at least four aliases. Praça 15 de Novembro is popularly known as Terreiro de Jesus. Laranjeiras (Street of Orange Trees). Rua Inácio Accioli is also known as Boca do Lixo (Garbage Mouth)! Rua Leovigildo de Carvalho is known as Beco do Mota. 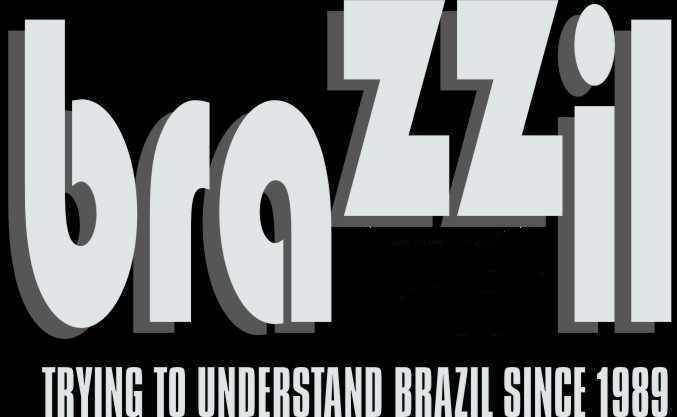 Nóbrega was shortened to Brega, which in Brazilian usage is now synonymous with brothel! police are posted on just about every other corner. blocks further is Praça Castro Alves, a major hub for Carnaval festivities. are similar to favelas, but built on the bay. rationally planned industrial park in Brazil and over 100 firms operate there. is keen to tell travellers about information available from their counterpart. Saturday from 10 am to 6 pm. advice on accommodation, events, and where and when to see capoeira and Candomblé. boats, buy guidebooks and even overseas airline tickets. but don’t expect much detail. called Disque Turismo (Dial Tourism). can also contact the center for information on HIV/AIDS. The main branch of Banco do Brasil is at Avenida Estados Unidos 561, in Cidade Baixa. from 8 am to 6 pm, but the mail office often closes for lunch. post offices at Rua Alfredo de Brito 43, Pelourinho; at the airport; and at the rodoviária. Watch out for price hikes and make sure items are franked. Telebahia RodoviáriaOpen daily from 6 am to 10 pm. Centro de Convenções da Bahia. Thursday from 2.30 to 5 pm. (Tel. : 358-9166). Open Monday to Friday from 9 to 11 am and 2 to 4 pm. França bus stop at the base of the Lacerda Elevator, and get off at the Mercado Popular. grey Polícia Federal building at the end of the street, near the docks. culture, and is happy to deal with groups or independent travellers. The following travel agencies sell bus tickets in addition to all the normal services. range of foreign-language books to buy or exchange. guide with reviews, called Agenda Cultural, available at Bahiatursa offices. flavor: slow, relaxed and seemingly nonchalant. understand what you can do to minimize problems. and don’t carry a camera outside Pelourinho. d’areia (captains of the sand), who are quick to make off with unguarded possessions. and avoid deserted places, especially narrow alleyways. there are tourist police (identified by an armband) on patrol. the afternoon, and devote the evening to music, dance or Candomblé. then continue down through Largo do Pelourinho and up the hill to Largo do Carmo. & Ethnology Museum), which is open Monday to Friday from 9 am to noon and 2 to 5 pm. corners of the church without a view of the altar. Notice the polychrome figure of São Pedro de Alcântara by Manoel Inácio da Costa. which was considered a novelty at the time. Monday to Saturday from 7.30 to 11.30 am and 2 to 6 pm, and Sunday from 7 am to noon.